Guinan County (Mangra in Tibetan) is located in Hainan Tibetan Autonomous Prefecture, Qinghai Province. The average altitude is 3,100 meters with 5 months of harsh winter. It is home to 77,230 people, of whom 83% are Tibetan. Herding and farming are the key economic activities in 73 administrative villages in 3 pasturing and 3 farming townships and towns. The average annual cash income per household is approximately 4,500 RMB. Locals seldom go to other places to work limited by poor Chinese language ability. 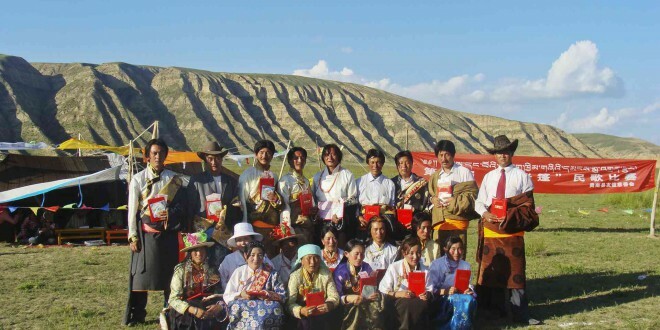 Ninety-eight percent of residents from most herding communities are illiterate. Many parents cannot pay for high school and university expenses for their children. Approximately 80% – 90% children do not continue education beyond compulsory school. Consequently, students stay at home, get married and give birth, repeating the cycle of poverty. Additionally, the local highland climate changes unpredictably, leading to poor health. Hepatitis, hepatomegaly, diabetes, STDs, and other illnesses are common. Lack of water is also a severe challenge in herding communities. 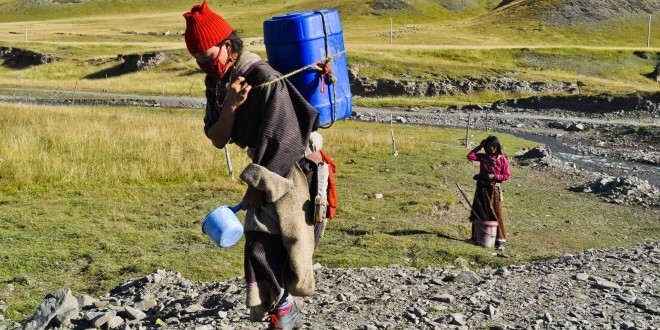 On average, each household spends 4 – 6 hours daily to fetch water by carrying water containers and using donkey-drawn carts. Water-fetching falls most squarely on the shoulders of women. We aim to address these problems in cooperation with FCA, a local grassroot NGO working since 2005. We will focus on education, water and sanitation, cultural and environmental protection, and social enterprise.